Harrell’s offers complete tunnel solutions to boost performance and volume, while driving down costs and labor. You get higher profits, and your customers get cleaner cars. 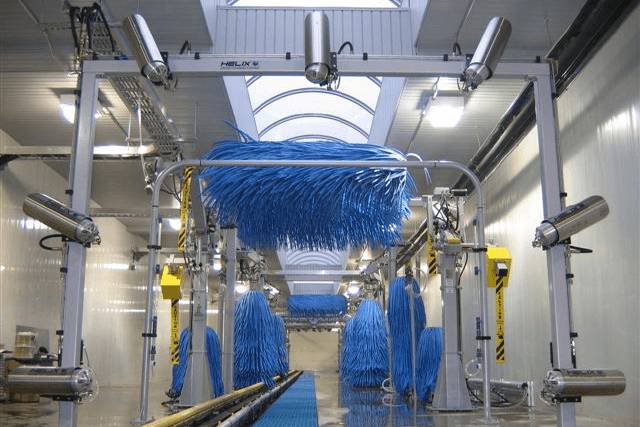 We present Express Tunnels ranging from 85′ to 150′ and cleaning up to 150 cars per hour! These systems feature RG-440 conveyors, RS-701 SuperFlex Wrap-Around Combo, RS-1000 Top Brush, Versa Arches, Tech 21 drying system, and wheel & tire add-ons.